For many years the Ministry has received request for DVD’s of the televised services of the Rex Humbard Television Services. Now, for the very first time, 32 of these DVD’s are available to the friends and partners of the Rex Humbard Foundation. 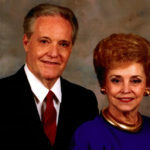 Each program contains the Music of the Humbard Family, Liz, Rex and Maude Aimee, special musical guest, such as Debby Boone, Carol Lawrence, Connie Smith, B.J. Thomas, Roy Rogers and Dale Evans, James Cleveland and the Cleveland Singers, Chuck Woolery, Tom Netherton, The Bill Gaither Trio and many more. Of course, Rev. Rex Humbard delivers a timely message in each service as well as a time of prayer for healing of the mind, body and Spirit. These special programs were recorded in Akron, Ohio, The Holy Land, Melbourne, Australia, The Sydney Opera House and various locations around the world. 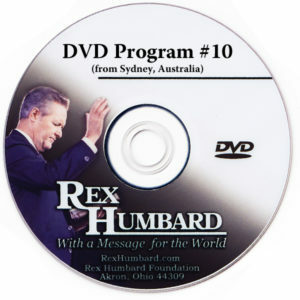 If the Rex Humbard Family Ministry has ever been a blessing to you or your loved ones, these Special DVD Television programs are a must-have in your home. You may order individual DVD programs for $15.00 plus shipping and handling. Excuse Me, Are You Jesus?